No Star Wars gaming fan can forget the awesomeness of the first CGI trailer for Star Wars: The Old Republic. It was pure Star Wars wish-fulfilment, with an army of Sith Lords taking on an army of Jedi – and a quality of animation and motion-capture that stands up to any of the movies. Sadly the action in the game itself wouldn’t stack up to that epic reveal trailer, but believe it or not The Old Republic is still going, and BioWare has just announced the seventh expansion for the MMO – simply titled ‘Onslaught’, with a release date of this September. Onslaught will see the reignition of the war between the Republic and the Sith Empire, with players returning to Han Solo’s home planet of Corellia, as well as several other new planets to explore. 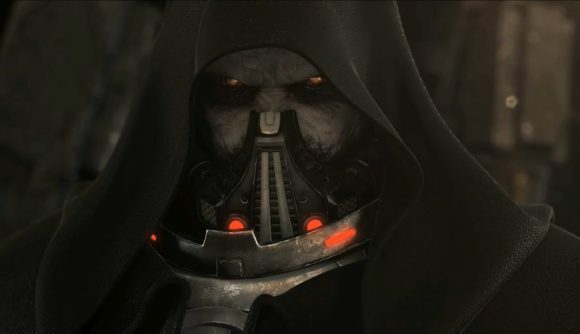 Perhaps most excitingly for fans, going by the official screenshots for the expansion, it will apparently see the return of the star of The Old Republic’s first trailer – the villainous and very Vader-like Sith Lord Darth Malgus. The new expansion will bring players to supposedly Republic-friendly Onderon, the pirate den of Mek-Sha, the jungle moon of Dxun, and a new Flashpoint on Corellia – the dramatic finale to the expansion, which solo (ahem) and group players can try out. BioWare says in its post about the expansion that the team is adding a new type of gear called Tactical items – which can “alter your abilities and playstyle” and pair them with new bonuses that are both class-specific and general. As for Darth Malgus, he was supposedly killed off a few expansions ago – before making a dramatic return at the end of 2018. His role in Onslaught hasn’t been revealed, but his appearance in one of the screenshots for the expansion suggests he could be a big part of the new expansion’s storyline. Onslaught will release in September 2019. 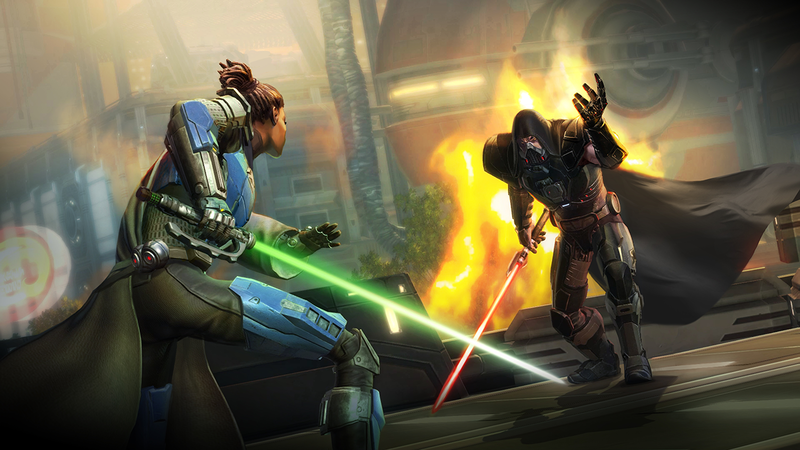 It’s been three years since The Old Republic’s sixth official expansion, Knights of the Eternal Throne in 2016, so it’s a bit of a surprise to be sure that BioWare is still releasing such significant updates to the game – but a welcome one.